Heat is one of the oldest of human body therapies. 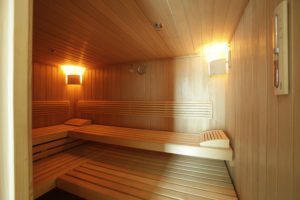 The positive impact of a sauna St Petersburg on the human body is caused by the alternation of high and low temperatures. General detoxification of the body, and an improvement in the cardiac functions and blood circulation are just a few of the many health benefits. A sauna has a beneficial anti-ageing effect, improves the skin`s condition, and leaves you looking refreshed, and feeling rejuvenated. Natural materials, sophisticated technologies and the excellent design of our saunas will surprise and delight you. The first stage is a warm-up (2-3 minutes), then you should leave, and take a cool shower;then have a short rest (10-20 minutes). The second stage can last 10-15 minutes: the body should break out into a sweat, and after this second sauna you should take a colder shower, and again take a small break. Further saunas can be taken, but the total amount of time spent in the sauna should not exceed one hour. The Finnish Sauna and Infrared Cabin at the Taleon Spa are both made by the well-known German company KLAFS. The Infrared Cabin promotes cleansing of the body of any harmful toxins, at low temperatures, with no stress laid on the organs of the cardiovascular system. 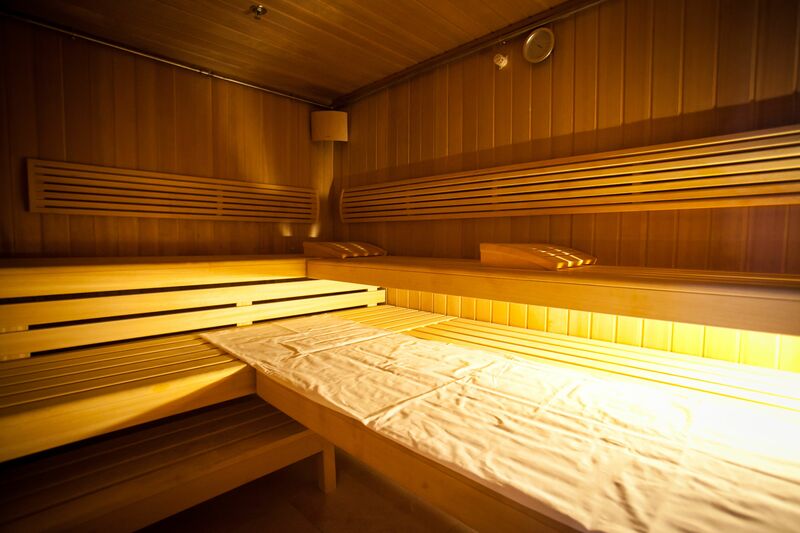 The sauna heaters are located behind the wooden wall panelling, so the heat spreads evenly, and protects the people inside from the adverse effects of electromagnetic waves. A sauna is most beneficial when enjoyed without hustle and bustle. With this thought in mind, the artist and professor Walter Giers invented a light and sound device AQUAVIVA, which can take you variously to a mountain stream, a forest or a coastline. This work of art, made of hand-processed mineral glass, stimulates the visual and aural imagination.